Skoda has launched a new variant of the Octavia called as the Octavia Corporate Edition. Offered exclusively to existing Skoda customers, the Corporate Edition is priced at Rs 15.49 lakh for the petrol version and Rs 16.99 lakh for the diesel variant. Talking about engine options, the Corporate Edition is available with the option of a 1.4 TSI petrol motor and the 2.0 TDI diesel engine coupled with a 6-speed manual transmission. There’s no automatic on offer. The features list on the Corporate Edition include a 6.5-inch touchscreen infotainment system that includes Android Auto and Apple Carplay, dual zone climate control, quad headlamps with LED DRLs, illuminated and cooled glovebox, multi info display for the driver and 16-inch alloy wheels. Skoda Octavia prices start at Rs. 15.49 lakh for petrol and goes upto Rs. 27.00 lakh. The prices of Octavia diesel variants start at Rs. 16.99 lakh and the top-end diesel is priced at Rs. 26.00 lakh. 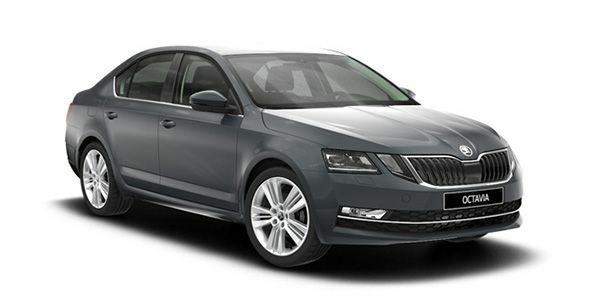 Skoda Octavia is available in 11 variants and 4 colours. Share your experiences with Octavia? The claimed ARAI mileage for the Skoda Octavia petrol is 16 kmpl, and for the Skoda Octavia diesel is 21 kmpl. Q. What is the Maintenance cost of Octavia RS? Q. What is the maintenance cost are the spare parts expensive? Q. What is more reliable in the long run manual transmission or automatic in Skoda? Q. Skids Octavia Style and Jeep Compass Limited option which is better? Q. How can I buy a Skoda Octavia car? Sometimes it’s the senses that rule decisions. Picking a petrol automatic sedan for around Rs 20 lakh is one such occasion. So, which one would you pick? The “RS” nameplate returns to India! Is it watered down again? Do dreams come true? From the very beginning, Skoda Octavia has captured the imagination of Indian buyers. Priced in the affordable range of Rs 15.71 -25.49 (ex-showroom, Delhi), Skoda Octavia caters to the need of buyers falling between executive to premium range. Octavia’s smart exteriors highlighted by split headlamps and typical Skoda grille gel very well with the overall design theme of the car. Interiors are plush and overall fit-finish is the best among the segment. The rear bench is placed at good height and offers good thigh support. Under the Hood, Skoda has offered a total of 3 engine options - a 141 BHP 2.0-litre turbocharged diesel engine and 148 BHP 1.4-litre TSI and 178 BHP 1.8-liter TSI petrol engines. Both petrol and diesel variants are offered with manual as well as automatic transmission options. Skoda Octavia has got the likes of Toyota Corolla Altis, Volkswagen Jetta, and Hyundai Elantra in its crosshairs. Skoda Octavia Interior : In Pictures! Skoda Octavia launch : In Pictures! New Skoda Octavia unveiling in India: In Pictures! Skoda Octavia gets Virtual Cockpit, Coming Soon on Superb and Kodiaq! It"s a safe and reliable car, spacious and comfortable as well.